Many swimmers contemplate the need for swim fins. In fact, there are benefits of using fins that many people may not be aware of. One is the discovery of your balanced, streamlined, natural chi energy. However, if you compare your own natural abilities to that of natural swimmers of the ocean and seas, you may see those benefits more clearly. For example, fish and other marine animals have fins that help them to move around quickly in the water, whereas we humans do not have fins. Even though we may become good swimmers, we aspire to swim better. 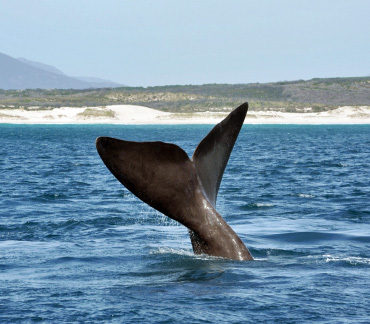 Swimming gear such as fins allows us to move in the water as easily as marine life does. •	They enable you to improve body position, and technique so you can swim faster, thus enabling you to work on your technique more effectively. •	They can also help you lose weight, due to better muscle development, because fins cause you to use the big muscles in your legs, which is how you generate more power and propulsion. •	They come in different styles, (mono-fins, short fins, standard fins or V-shaped fins), with different foot pockets, (open and closed heels, heel straps or no heel straps, free toes, fleece-lined). Fins come made from a variety of different materials, (soft rubber, fiberglass, thermoplastic, polyurethane, polypropylene), different flexibilities, (adjustable tension, soft, moderate, firm), and you can choose from floatable or non-floatable. •	You can enjoy better speed and endurance, making them essential for proper training, and they are invaluable when you want to cover more distance. These are just a few of the most common reasons for using these valuable training tools. However, there are also other benefits. Ankle flexibility can be a major factor in becoming a faster swimmer. Some swimmers become frustrated because their ankle is not flexible enough to point straight, causing their foot to catch water because their foot forms a hook, propelling them in a reverse-direction. With properly fitted flippers, you can correct this situation. When you stretch your ankles properly, it can make you a better swimmer, as well as increase your flexibility for more effective walking and running. When you are weighing the advantages of using swim fins, it is important to consider the neuromuscular patterning that occurs. You may be thinking that it is wonderful to have the ability to swim faster while wearing them, but what happens when you decide to swim without them? Your muscles build memory and become accustomed to being in the correct position when you are swimming, after using fins for a while. So, anyone that had difficulties before using swim fins will find that they have been an effective training tool. Fins are designed to duplicate the biomechanics of fish and other marine life and how they swim. Since they are constantly undergoing design innovations, it is possible to find comfortable, efficient swim fins that are durable and designed to enhance your swimming performance. It is possible to become a more effective speed or distance swimmer using the laws of nature and the laws of physics. There are some that believe a split fin model is the best option, because the design is similar to the shape of a fish tail. As you kick downwards, the water flows past and channels through the split and thus provides an initial forward thrust. Also, flexibility is important, because a rigid design would be likened to wearing a pair of boards on your feet. If you are able to find versatile swim fins, you can use them for other recreational sports, such as snorkeling, scuba diving or float tube fishing. 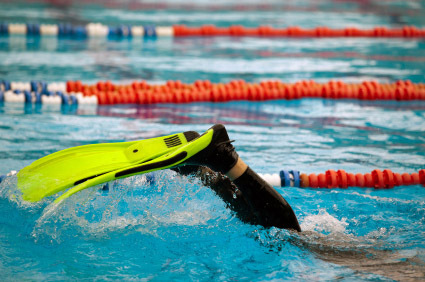 To achieve the best results, choose swimming fins that offer a comfortable fit and provide high-performance. You should also look for those that offer greater durability, as you may want to use them to train with on a daily basis during the swimming season. Also, you may put them through some rigorous conditions depending on where you are using them. Fins do not have to be expensive to offer long-lasting enjoyment and performance enhancement. However, snorkeling through coral reefs or swimming through rocky channels can be quite demanding on lesser-quality swim fins. As a natural swimmer, you should search for those that offer the most natural comfort and fit. Click here for the best selection of training swim fins. What are your favorite swimming fins and why? Do you have a favorite fins to train with?